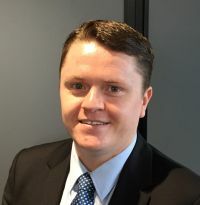 Chris Carr is a partner at MinterEllison and Chief Representative of the firm's Shanghai office. He specialises in cross border corporate matters including M&A, private equity, joint ventures, foreign direct investment (FDI) and other commercial transactions. Chris has extensive experience working with Chinese clients and counterparties and has worked on some of the most prominent China related M&A transactions in the past decade. He has lived in China for approximately 10 years and previously worked in Beijing with a magic circle law firm. Chris is fluent in both spoken and reading Chinese (Mandarin) and English which, combined with his Australian education and training is highly valuable to clients in complex and difficult cross border negotiations. Chris also regularly advises Chinese and multinational corporations on a broad range of corporate matters including market entry strategy and compliance. Chris commenced his career in Melbourne with a large Australian law firm. He is admitted in Victoria and the High Court of Australia and holds a New South Wales practising certificate.